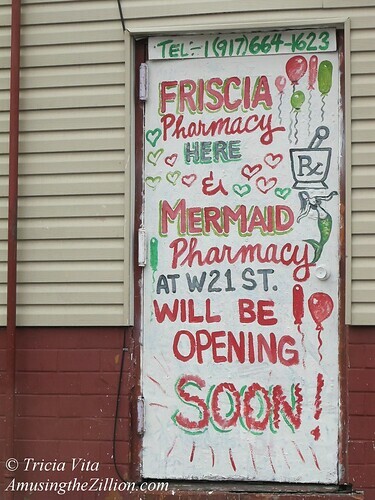 “Mermaid Avenue that’s the street where the sun and storm clouds meet,” wrote Woody Guthrie in his 1950 song “Mermaid’s Avenue.” Four months after Superstorm Sandy devastated Coney Island, ATZ took a drive down the neighborhood’s shopping street to see how many stores had reopened. Our impression, seconded by people who live or work in the neighborhood, was about 70 per cent. “A lot more places have opened up. It’s a credit to the Mom and Pops,” said Eric Levy, editor of Astella Action News. The local newspaper is published by Mermaid Avenue’s Astella Development. The not-for-profit community organization was one of several that lost everything and is currently sharing a trailer on West 17th Street with the Alliance for Coney Island, Coney Recovers, Project Hope and Brooklyn Community Services. Levy says they expect to move back to their rehabbed storefront at 1618 Mermaid Avenue next month. 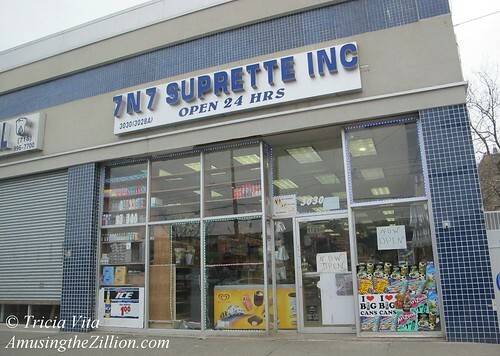 The majority of the reopened stores are bodegas, drugstores, and small businesses like the local 7-Eleven lookalike in the photo above. Rebecca, whose family owns the pawn shop at Mermaid and West 21st Street, told ATZ that their store had a grand reopening party on December 15th. They brought in a pizza truck and gave out promotional items as well as raffle tickets for Nets games and cash cards. 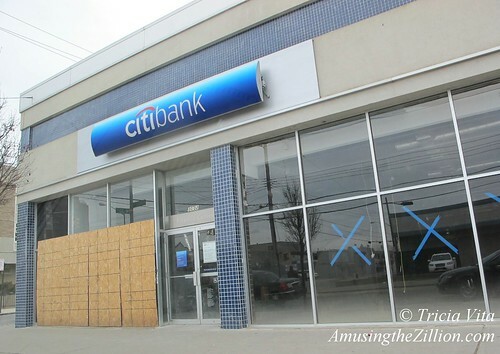 Chase’s branch on Mermaid at 17th Street is also closed due to storm damage, but the bank set up a mobile branch on December 6 and currently does business out of a trailer in their parking lot. The post office, which was operating out of trailer until about a week ago, has reopened. But the saddest story on Mermaid Avenue has to be the shuttered Coney Island Library. When we drove by it looked even more abandoned than it did in December. 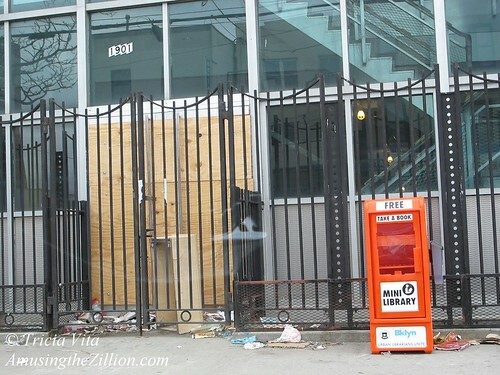 Ruined books litter the boarded-up, fenced off entryway. Urban Librarians Unite’s mini-library box inviting one to “Take a Free Book” stands empty. The Brooklyn Public Library’s Bookmobile service is provided on Thursdays from 11am to 4pm in front of the library, but the children who used the computers must miss them. The branch of the Brooklyn Public Library is not expected to reopen until October at the earliest.